Is it over yet? I can’t concentrate at work. I can’t concentrate doing anything. All I can think about is lion dancing. 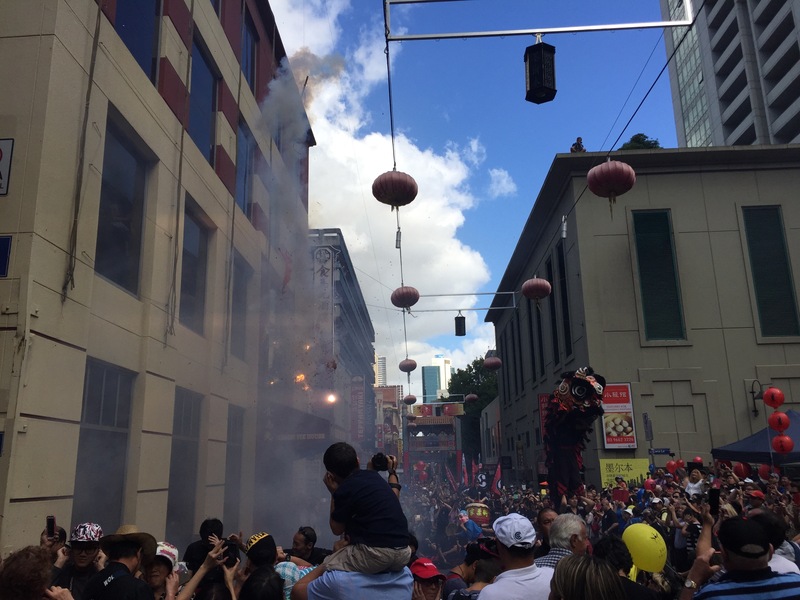 The drumming, the dancing, the firecrackers, the noise, the atmosphere. The incessant checking up on YouTube to see who’s posted what, keeping my eyes peeled on the various Facebook lion dance groups to see what everyone else has gotten up to. 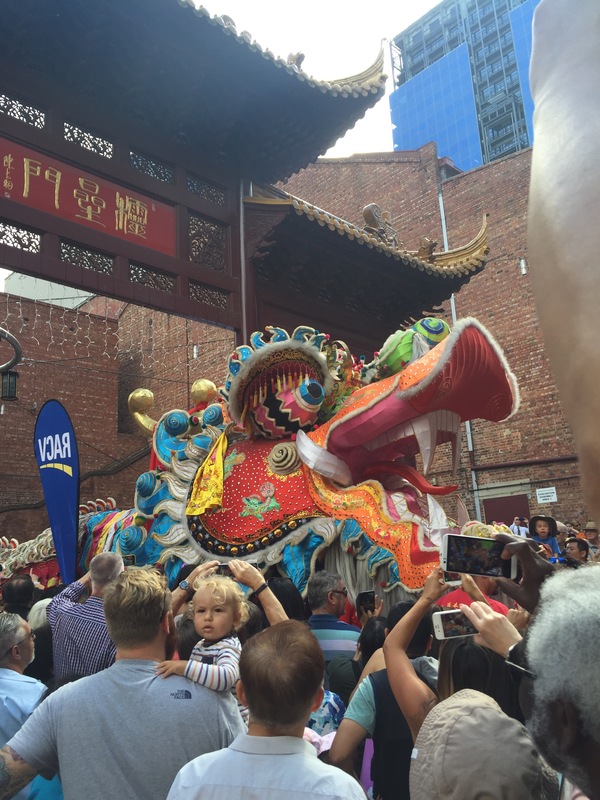 It’s great with social media because it’s just brought the whole lion dancing community and world together. 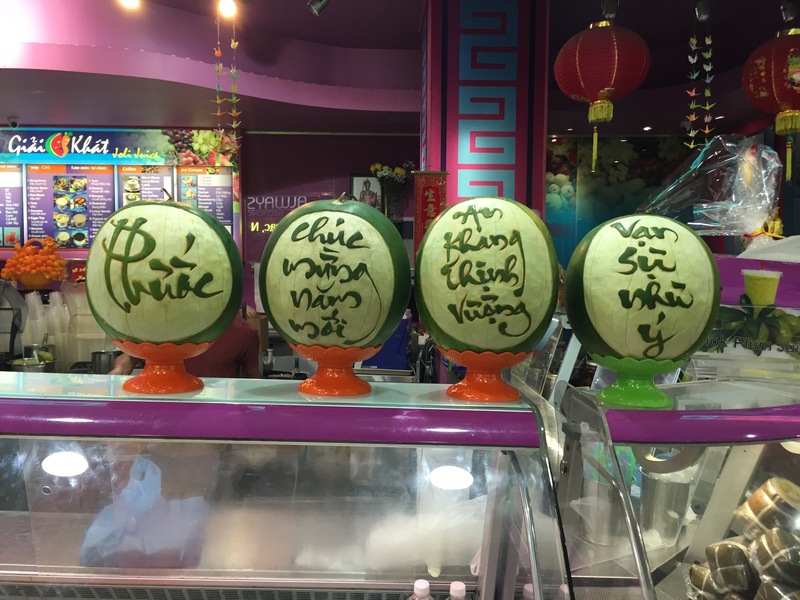 People can see what other people are doing and can share their experiences on how that little part of the world celebrates the lunar new year. I for one had a huge and exciting revelation! 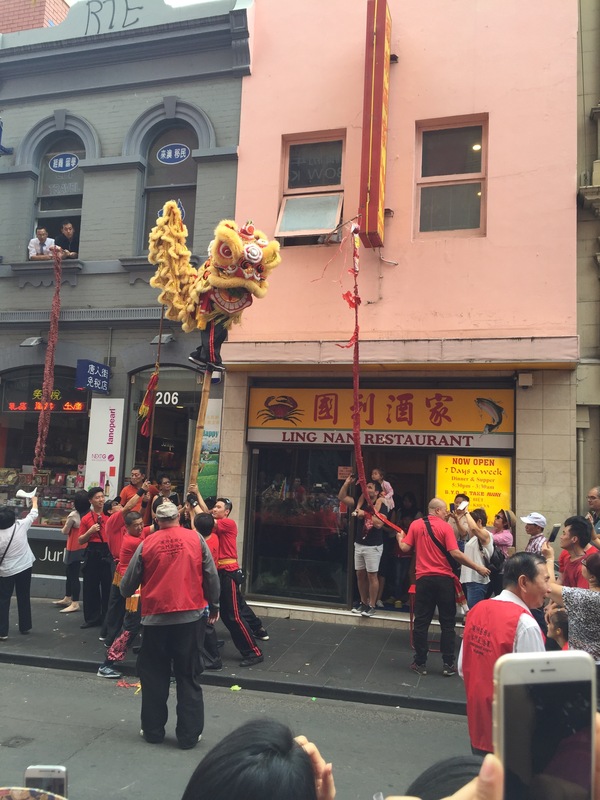 I’ve spent most, if not all of my Chinese New Year life in Sydney. 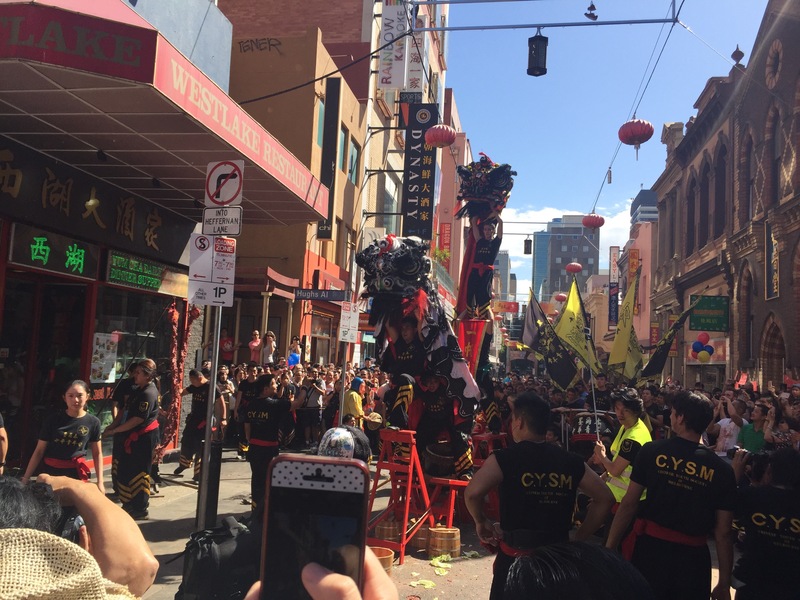 I’ve seen the same teams, I’ve trawled the same outlying suburbs as well as making my way into Chinatown to see the teams there. I’ve gone to a multitude of temples to see who’s doing what. 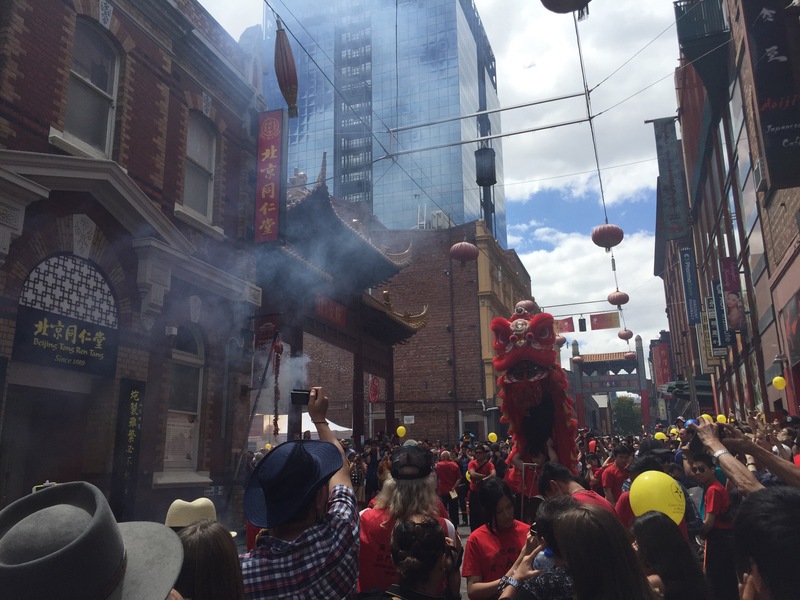 This year, I spent a lonely Chinese New Year in a little town in country NSW called Tamworth. To make up for it, the weekend that just past saw me head down to Melbourne for the first time to see what the Melbourne guys have to offer in its Chinatown. Now I’ve seen heaps of video clips of the various Melbourne teams and am can’t familiar with who dances where and I knew to expect the Chinese Youth Society Melbourne (CYSM), Hung Gar Yau Shu (HGYS), Chinese Masonic Society (CMS) and the Dai Loong Association to do a number of performances in Chinatown but what I saw blew me away with excitement. I think the whole atmospheric set up was great!!!! I’ll call it super Sunday but essentially, the council blocks off 3 blocks of Chinatown to traffic, there’s a whole bunch of stalls and heck of s lot of people. 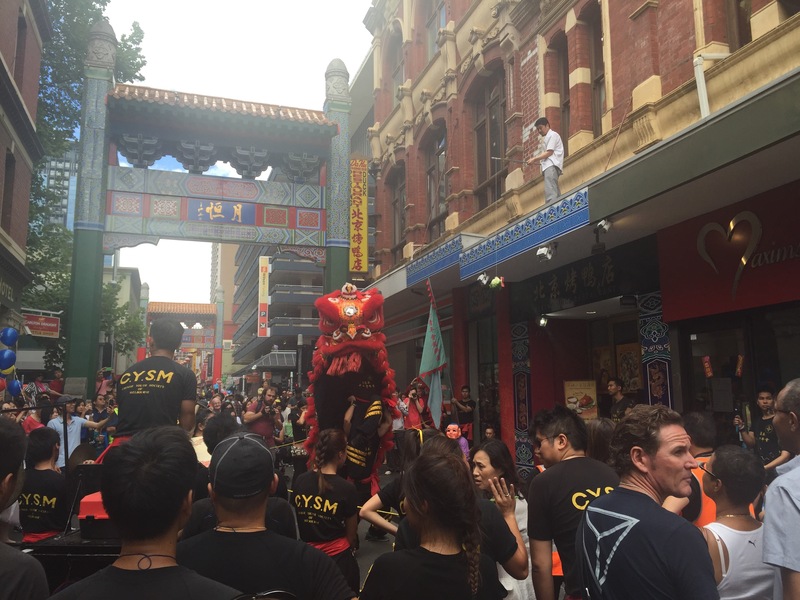 CYSM did a big routine which involved lots of lions and the monkey kin and other characters in journey to the west. 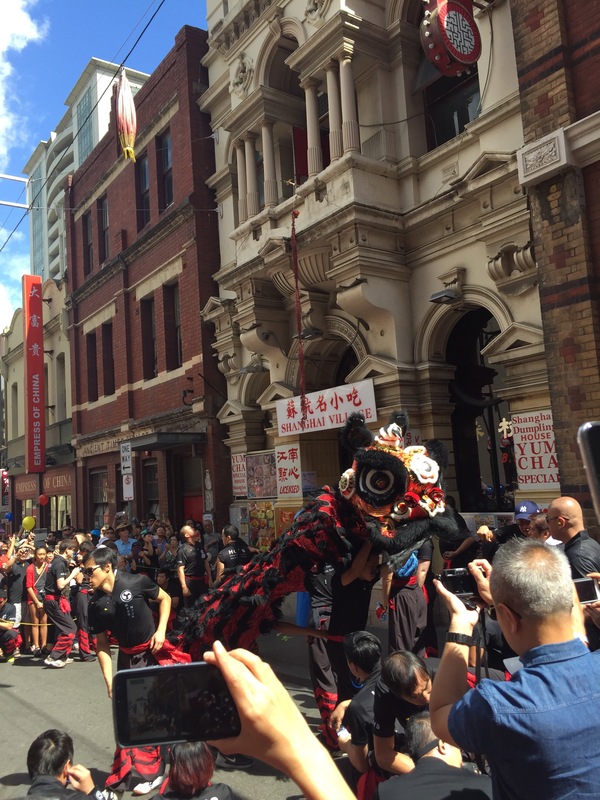 The Dai Loong Association brought out the biggest dragon I’ve ever seen, a lot of lions and a procession of mythical animals that normally go with dragon processions and paraded up and down the various streets that make up Chinatown. The other three teams split themselves up to go shop to shop dancing in Chinatown!! It was great. 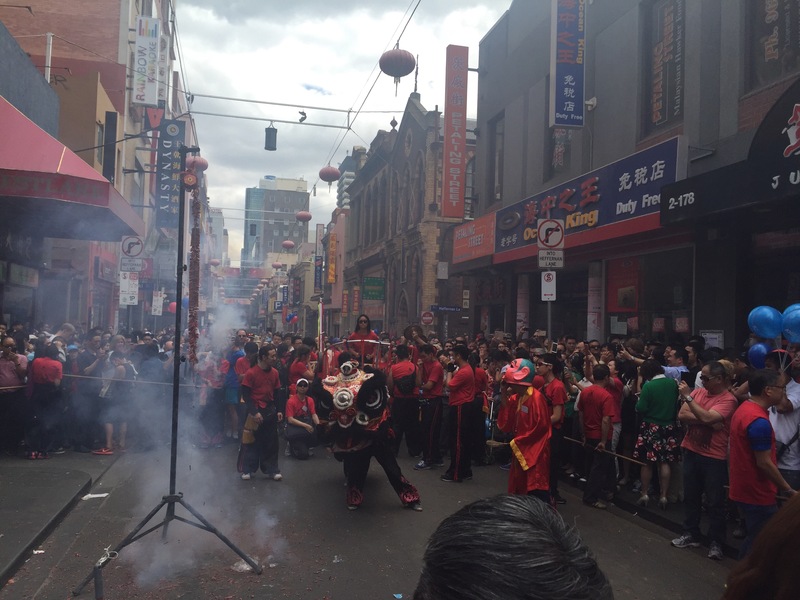 It felt like my childhood in Cabramatta when there wasn’t an affiliation between shops and lion dancing teams and the shops would just stick out a Cheng, somehow get their hot hands on a string of firecrackers and stick that out as well and the first team to come by gets served! It was madness!!! There was drumming and firecrackers everywhere. At one point I think I saw team A of CYSM performing next to team A of CMS performing next to team B of CYSM performing next to team B of CMS and in the distance firecrackers going off which could only be HGYS performing at a shop as well. Actually, I think to keep the peace and be more attractive I did notice shops keeping tab of which team had already performed for them so when another time walked by they would put another Cheng out. The atmosphere was electric and the crowd was thick. What I really liked was the fact that the lions would continue to dance in between shops rather than start and stop when one shop was done. Walk to the next available shop and start and stop again. As a spectator watching from the crowd it was just exciting. Another thing that I thought was cool which is very different to Sydney is the drum carts. They have massive drum carts. Like a drum cart where the drummer and drum is on a raised wheeled platform above the crowds. There were lots of banners streaming from the back informing everyone of which team was there. This was the exception to the rule. CYSM finished off their performance here and they did a routine which involved benches and two really cool looking 白雲looking lions. Note the drum cart with flags in the back. It was all really exciting to watch and it went from 11am through to 4pm or so. I can only imagine the performers. Oh yeah that reminds me. Another big point of difference is that the teams, despite their large size, only used one lion each. I thought that was interesting given the teams had more than adequate man power and the crowds were huge. I would’ve thought they would have one lion hanging outside to please the crowd whilst the other went in. 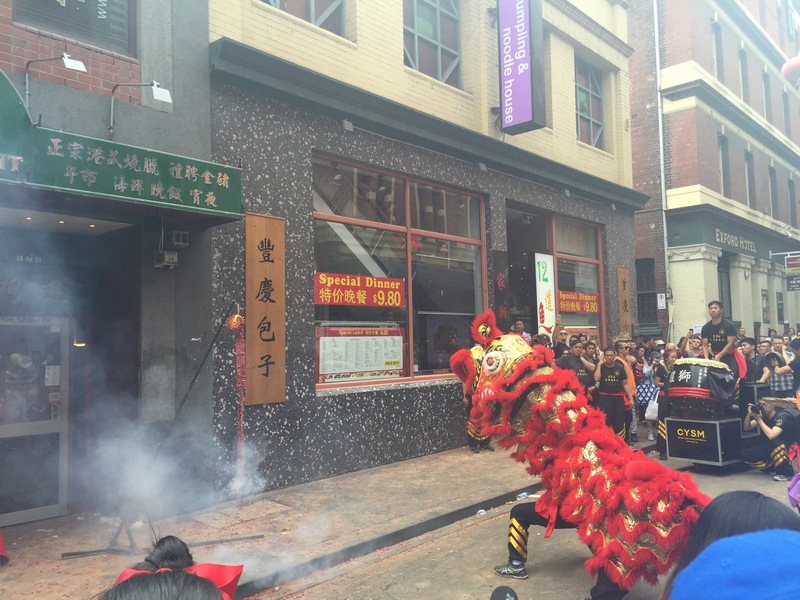 The only time I’ve seen and experienced something similar is when I was in Hong Kong/China and we do a pilgrim into China and the ancestral halls and temples of the founder, we would play a drum per lion. Otherwise, I had a thoroughly awesome time which made up for my quiet CNY. I just wish that I had the opportunity to perform for such a huge crowd that I saw. It’s that time of year again! It’s Chinese New Year tomorrow (Monday the 8th of January). Celebrations or should I say performances have been in full swing in Sydney for 2 weeks now with performances by Jin Wu Koon, Sydney Guangzhou Bak Mei, Sydney Bak Hok Pai, Yau Kung Mun, Sydney Chinese Masonic society having performances in Sydney’s Chinatown and teams such as Sydney Dragon Style Kung Fu Association, Sydney Yun Yee Tong, Australian Teo Chew Asssociation, Australian Chinese Youth Sports association all participating in shows and demonstrations for the public to enjoy. 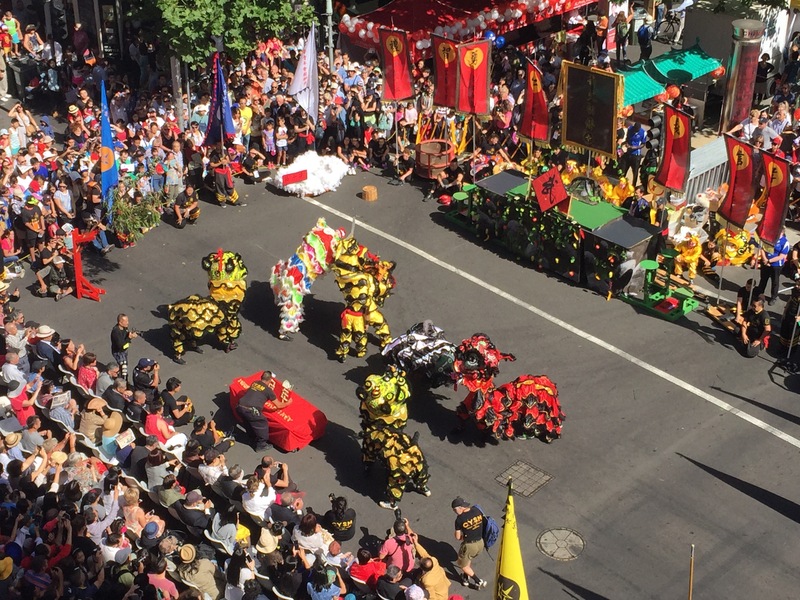 I’m sure everyone is having a blast and all the teams have worked hard for the most exciting time of the lion dancing year! Already videos and photos of performances are filling up social media and it’s such a pleasure to see people around the world practising and sharing this wonderful art. 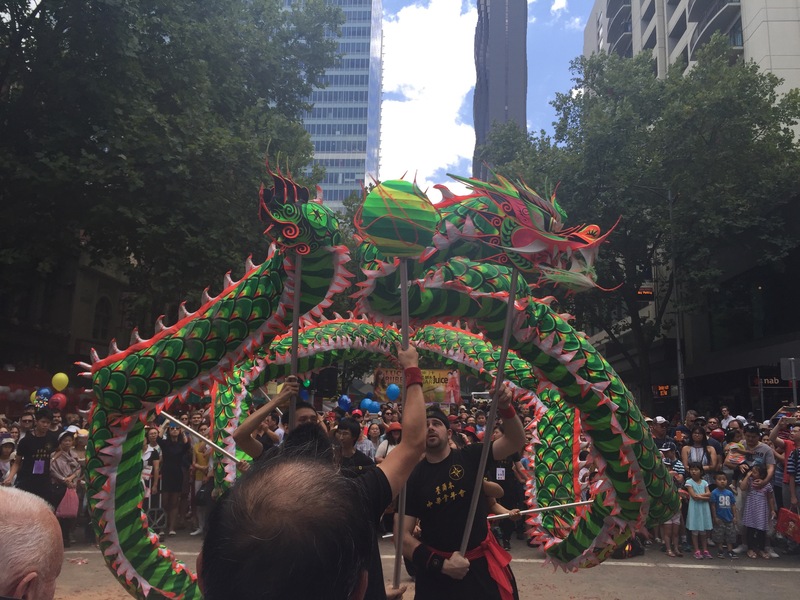 Unfortunately from what I understand, Sydney’s Chinese New Year Twilight Parade has been cancelled due to the tramworks on George St ( the Main Street in Sydney CBD) but I don’t think that has dampened the mood or the number of performances has filled the numerous suburbs around town. There’s still a few more weeks of performances left and I’m keen and excited to see what else people have in store. 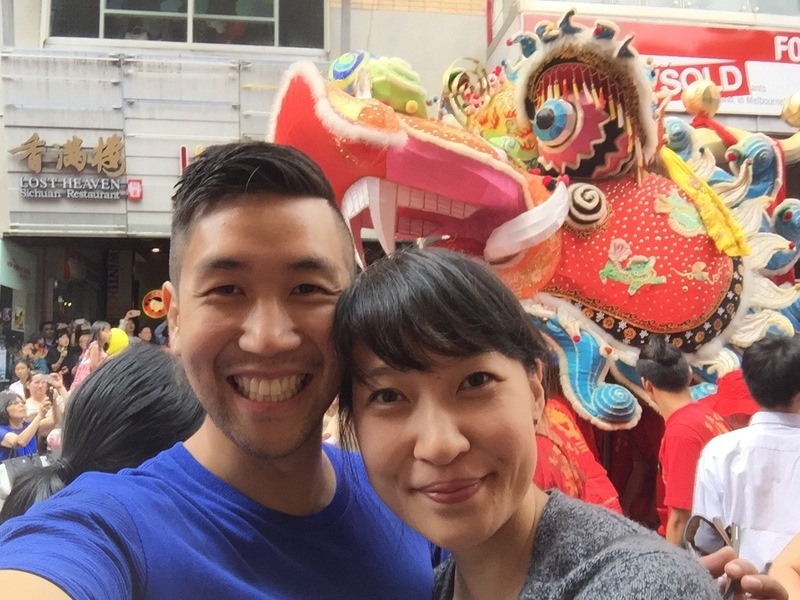 In the meantime, happy lunar new year! !